If you’ve travelled around the UK, you’ve probably noticed one of the many Diamond Coaches on the motorway taking excited holidaymakers to various UK and European destinations. On a Diamond Holidays tour you can be sure that all the excursions to a number of great locations are included and that you can sit back and relax, knowing you won’t be left behind as the rest of the group travels on an optional excursions for an additional cost. Spend some time exploring one of the finest aristocratic palaces in the UK. Blenheim Palace is the home of the Duke and Duchess of Marlborough, but if famed for its links to Sir Winston Churchill. Born at the Palace in 1874, there is an exhibition dedicated to the famous Prime Minister. You’ll also have the chance to explore over 2000 acres parkland and gardens. 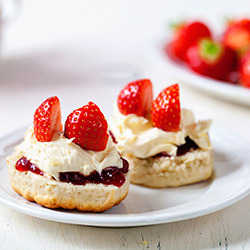 Afterwards, your trip will be finished off with a scrumptious afternoon tea courtesy of Searcy’s of London. You’ll also visit the university city of Oxford with its breath-taking architecture. Discover the craftsmanship behind every drop of Bombay Sapphire gin and relive the golden age of steam. Opening in 1914 this experience takes you through the history behind the mill, to the vapour infusion process and a delicious Bombay Sapphire Cocktail. The tour also includes a ride on the Watercress Line, before visiting a garden paradise in the New Forest. Includes free time in the cathedral cities of Winchester and Salisbury. Explore wonderful Norfolk in Summertime, when the scent of Lavender hangs in the air. Norfolk Lavender farm is one of the finest National Lavender Collections with over 100 varieties. During your visit you’ll learn about the harvesting process, enjoy a cream tea served with lavender scones and browse all manner of products. You’ll visit the gardens of Bressingham and magnificent house of Sandringham – the country retreat of the Queen and the Duke of Edinburgh. Kent is home to more stately homes, castles and gardens open to the general public than anywhere else in Britain. Heritage meets horticulture tucked away in the ‘Garden of England’. 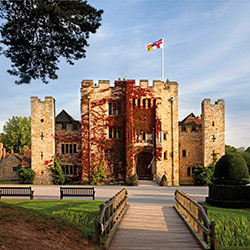 This popular break takes in some highlights including the award-winning gardens at Hever Castle. You can explore the Rose garden with more than 4000 roses. You’ll also visit ‘the loveliest Castle in the world’, Leeds Castle along with the chance to taste delicious wine at one of England’s leading producers. In a place where laws are made and actions are challenged, there is also a treasure trove of British History and filled with outstanding works of art. Visitors will follow the Queen’s processional route at the State Opening of Parliament. You’ll round your tour off in style whilst enjoying a glass of champagne in one of the rooms of the Palace in Westminster. Switzerland is renowned for its world-class rail travel and the Glacier and Bernina Express are no exception. The Glacier Express is jokingly known as the slowest express train in the world, but offers spectacular views across mountains and valleys as it curves its way through the heart of the Swiss alps. The Bernina Express is the highest railway in the Alps, passing over Glaciers 2000 feet above sea-level. Also included is a visit to the mountain village of Klosters, Vaduz and the capital of Liechenstein. Known as the City of Light, Paris is a treasure chest brimming with architecture, monuments, beautiful gardens and delicious cuisine. Explore the heart of this enchanting city and visit three iconic destinations. 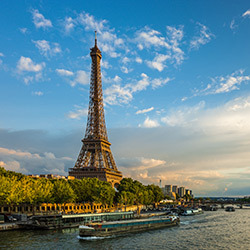 Travel up the wonderful Eiffel Tower, marvel at the Mona Lisa and other priceless painting in the Louvre and explore the masterpiece of gothic architecture in Notre Dame. Every September, the small Dutch town of Zundert enjoys its annual flower parade. With twenty floats making their way along Main Street wowing crowds with their size and detail.